Wearables are here to stay. The statistics don’t lie - worldwide shipments of wearable devices are predicted to top 110 million by the end of 2016, marking year-on-year growth of nearly 40%. By 2020, global shipments are expected to have doubled to over 220 million, with the market set to be worth $31.27 billion. But, what are they? What are they used for? And how will payments support and drive the growth of this lucrative sector? In the simplest possible terms, wearables are smart, connected devices that are worn or implanted on the consumer’s body. The term ‘wearable’ encompasses a vast array of technologies. From Bluetooth headsets to smart contact lenses, the potential form factors are astonishing. Smartwatches and wristbands, however, will dominate the consumer wearables market for the foreseeable future. When you think of wearables, the first thing that springs to mind is health and fitness tracking. ‘Gym bunnies’, however, can only take the market so far. 33% of consumers stop using their fitness tracking device after only six months, increasing to 50% after twelve months. The reason? No, not just a lack of willpower! The limited nature of the devices means that consumers soon get bored. Expanding functionality is therefore the main priority for wearable device manufacturers as they look to reposition their products as everyday essential, as opposed to luxury gadget. Payments are increasingly seen as the best way to add value to wearable technology and drive consumer adoption. 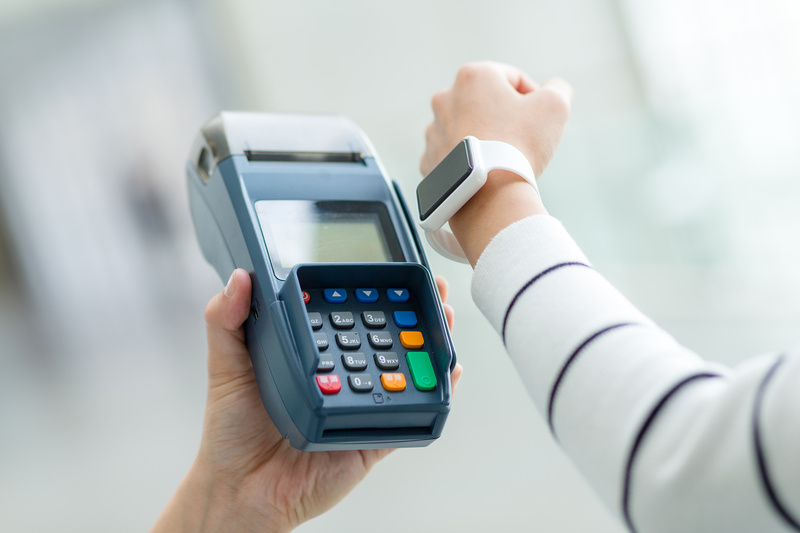 The benefit of using a wearable device to perform mobile transactions is clear. Many say that smartphone-based mobile payments aren’t noticeably quicker than a regular contactless card, as you still need to remove the device from your pocket or bag. Wearables are different. As they are literally on you, they can reduce friction and offer a truly seamless experience. And as we become more and more accustomed to tapping and paying with our wearable devices, we can expect to see further expansion into other sectors such as transport ticketing. onsequently, manufacturers are looking to integrate NFC functionality into their wearable devices. This poses a range of unique challenges. And, as with any payment product, a wide range of testing must be performed to ensure safety, reliability, interoperability and security. 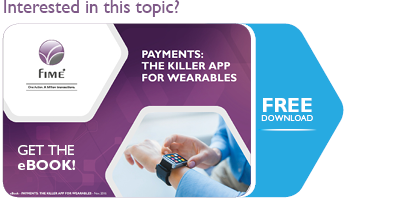 This eBook explores the importance of payments in advancing wearable technology and driving mass-market adoption. It also analyses the challenges that are presented by integrating payment functionality, and how they can be overcome by the implementation of a well-planned and executed testing program.